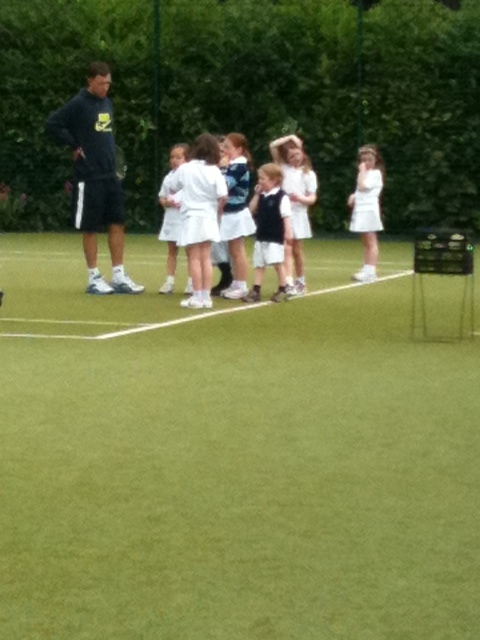 Big School News: Anyone for Tennis? Nothing says summer more than crisp tennis whites, the thud of tennis balls and giggling children playing outdoors on a sunny morning! So we heartily welcome the “first service” of summer in the big school with the much anticipated Hedley Park tennis lessons. 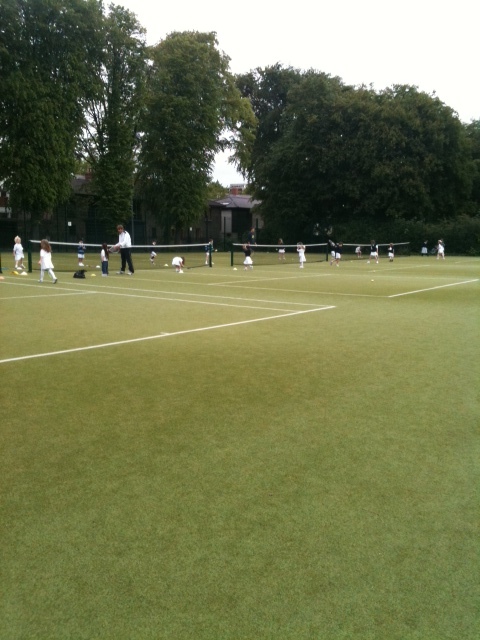 Twice a week, dressed in their school tennis whites the students from Junior Infants and up go to a nearby grass court tennis grounds to have professional tennis lessons. Being active, out in the air and learning new skills the children all adore this summer term treat. Of course tennis and Montessori are a great match, both instil order, self-discipline, and the all essential grace and courtesy. Tennis like many of the elementary Montessori lessons encourages the child to refine their gross and fine movements through improvements in hand-eye coordination; balance and overall muscular control are all built on within the tennis lessons. These mirror the Montessori lessons involving walking on the line, carrying chairs and other items, and fine motor skills which began with the young student selecting and carrying their work to and from the shelves in a graceful manner. The order involved in a game, learning the rules and keeping scores all add to the growing child’s control of their environment and there for themselves. Children thrive in and ordered environment and students in a Montessori environment are a testament to that. Tennis has a gentle order that allows the child to sequence and predict the next step allowing them to exercise self-control in a fun and energetic way. The grace and courtesy aspect of tennis also appeals to the Montessori educated child, respect for the rules, the environment, other players, turn taking and sharing space comfortably are all innate to our students and so the comportment and sportsmanship of tennis is a natural fit. 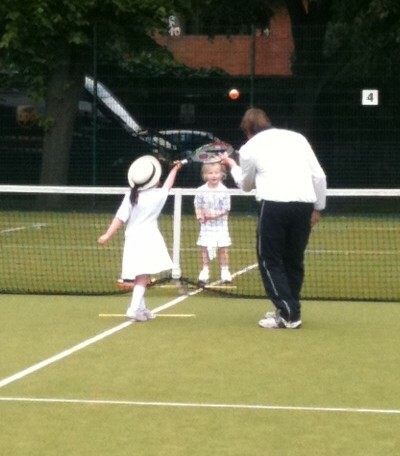 While the adults are very enamoured with all these underlying principles and lessons for our students, the children themselves will tell you the one reason they look forward to tennis lessons in the summer term, its FUN!!! Hedley Park meets Herbert Park!